Because of the smaller apartments or the increase of "things" many buy for their homes, it can be a challenge to find space to put our things. But this is where corner storage ideas come in. One can make use of the corner space to add storage options that don't take away from the limited space we currently have. 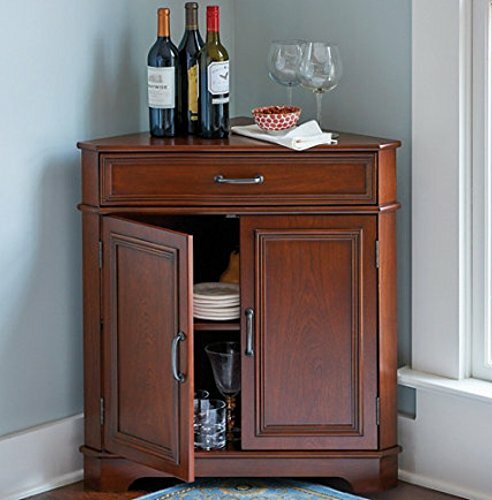 Many use this space for corner cabinets and corner armoires to store household items. 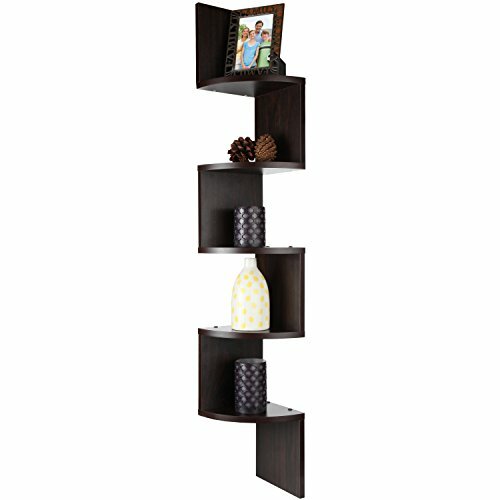 Corner bookcases are another attractive corner storage option for our books and magazines. If we have items we want to showcase, corner curio cabinets or display cases can make your corner a showplace. Having a lighted corner display steps up the attractiveness. But corner storages also can come in smaller sizes. 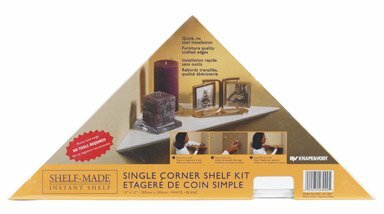 Many enjoy corner shelves for the living room. 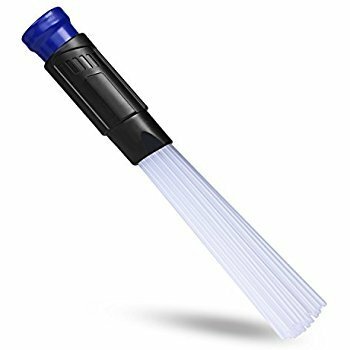 These can be used for art and plants and more. 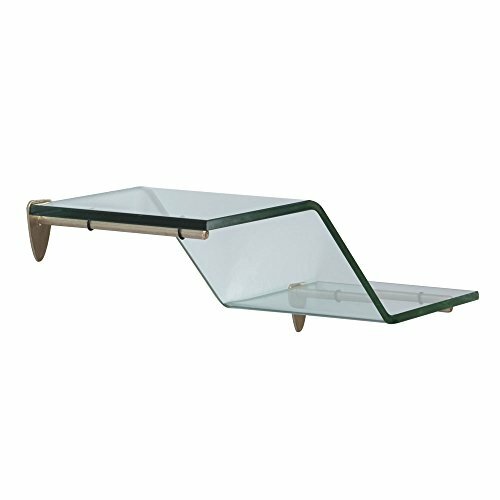 Corner coffee tables can also add to the beauty of your living room. 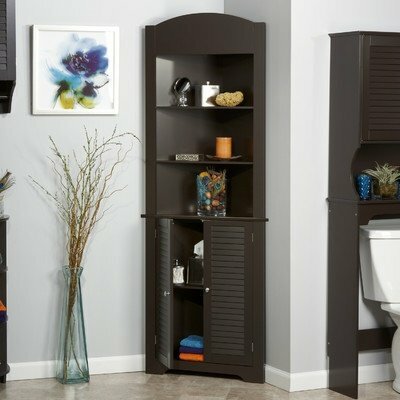 With so many options you will no doubt find a corner storage option just right for you. Corner storage is not only practical but attractive as well. 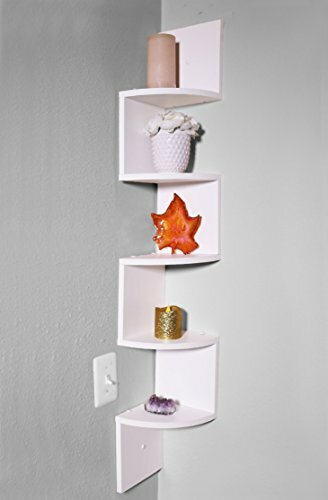 Set of 2 Tier zigzag corner shelves. 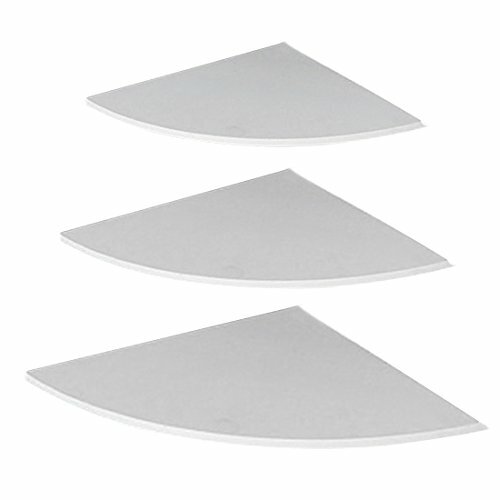 Made of durable MDF laminate. Beautiful Gray finish that suits almost any decor. 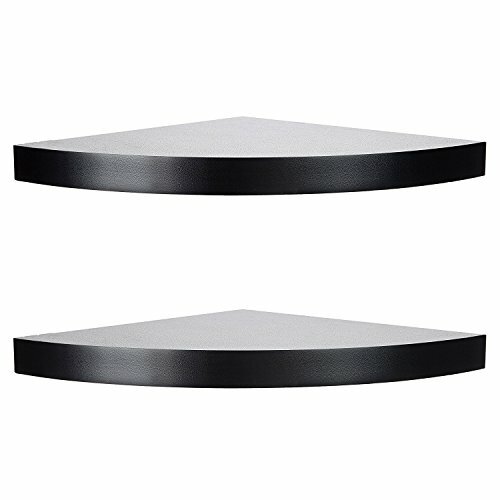 Set of 2 Tier modern design corner shelves. Made of durable MDF laminate. 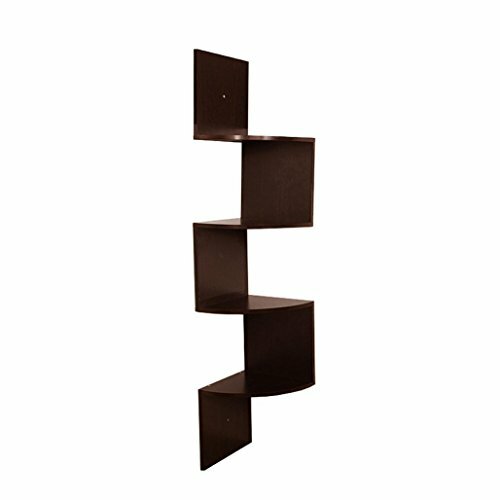 FLOATING CORNER SHELF: Add this set of 2 decorative walnut radial corner wall shelves to enhance any space. 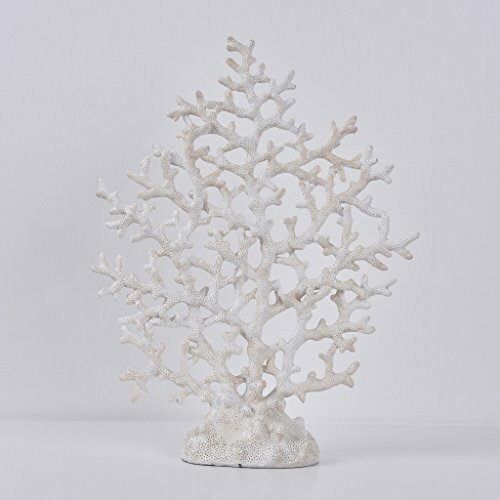 It provides a decorative elegance and additional storage space to make any room more functional. Turn any wall into a useful display area to show off pictures, candles, paintings, and other home accessories and decor. Just mount these shelves and get more surface area for storage. 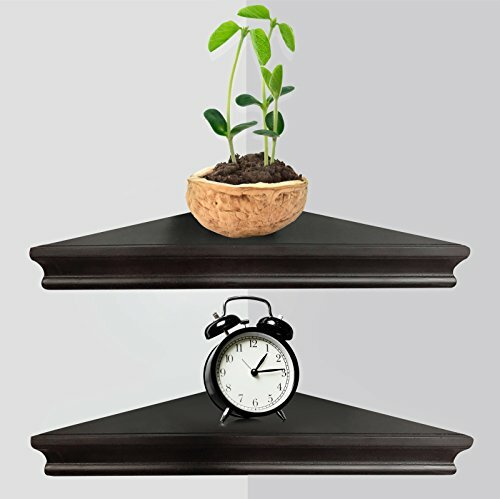 ECO-FRIENDLY WALL SHELVES: Our creative design saves space, making it ideal for small areas. 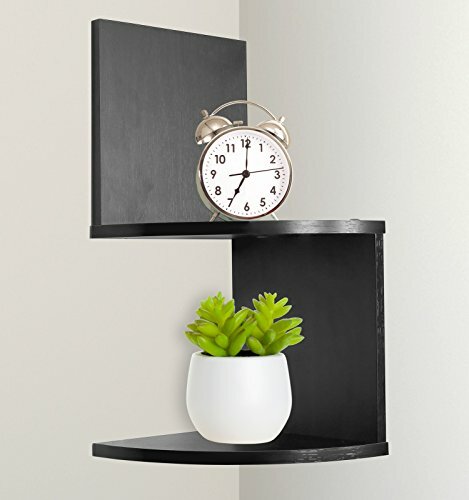 Made of laminate and composite wood, these shelving units are environmentally friendly. 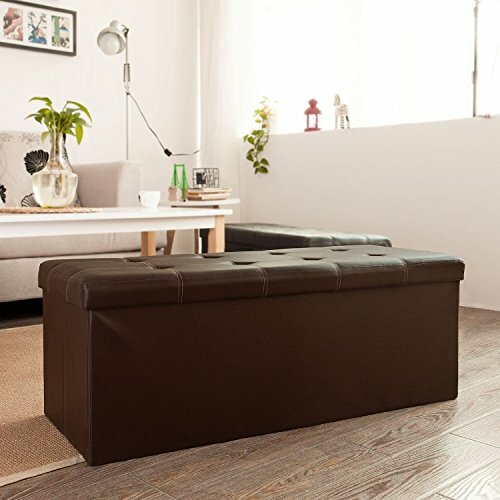 The dark, espresso color looks great with most home decor and isn’t as harsh as black. Made by ARAD, a registered trademark of LilGift, LLC. LOOKS LIKE REAL WOOD: While these wall shelves are made of composite wood, the laminate coating makes them look like walnut. While walnut wood varies in color and finish, it is characterized by a fine grain and darker tone. 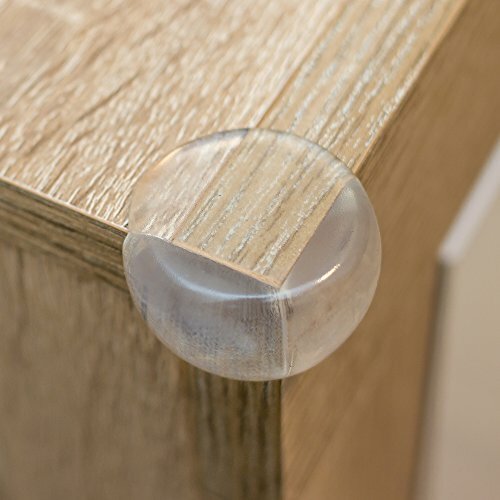 The laminate mimics the natural look of walnut without using wood. 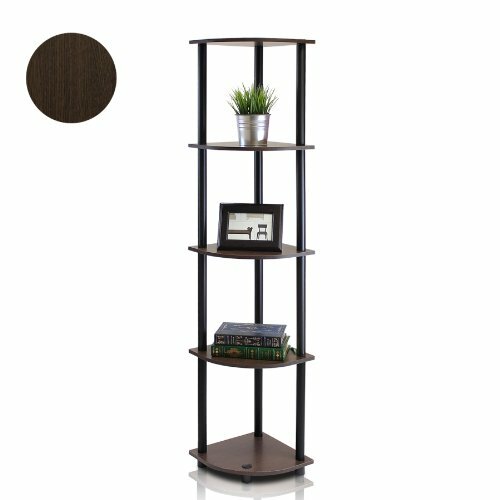 Because these shelves aren’t made with real walnut, you can save money without sacrificing quality. 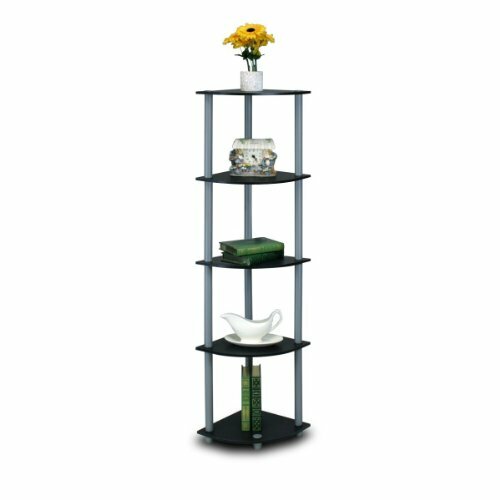 5 TIER SHELF: The Arad 5 Tier Shelf is the ideal floating shelf for your home. 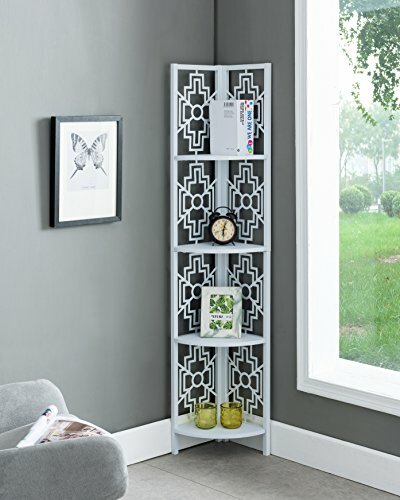 It’s a corner shelf that could match the decor in your living room, bathroom, or bedroom. It could even be used in your office to free up some desk space. 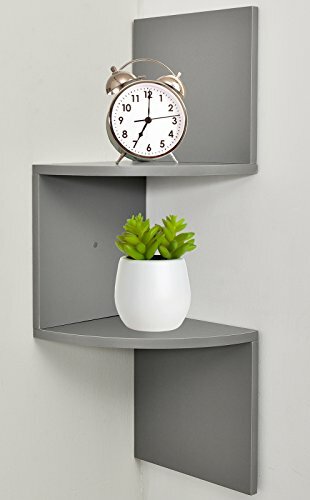 This wall shelf is also great for dorm room decor. 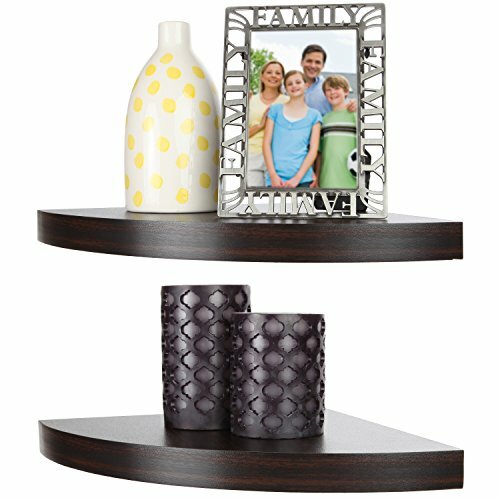 MULTIUSE: These floating shelves can be used to display picture frames, vases, and other home decor. 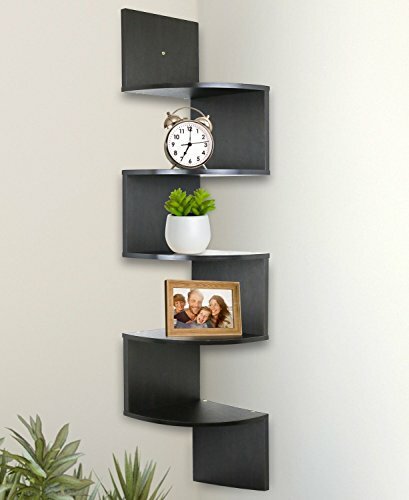 You can use the shelves to store your CD collection or to show off your killer action figure collection. 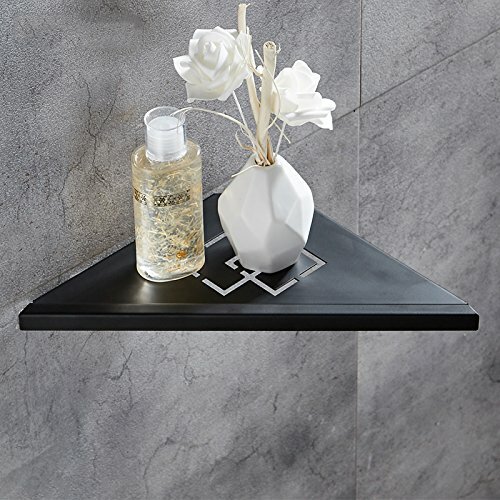 Let your imagination run wild with all of the different uses you can think of for this floating shelf. 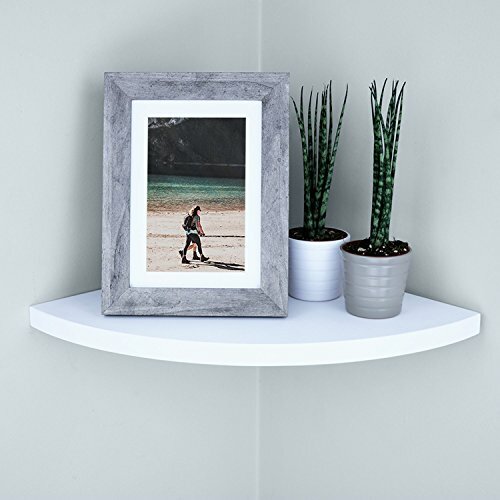 EASY INSTALLATION: This floating shelf looks and works best when it’s mounted in a corner of two walls. Some minor installation is required with this shelf. 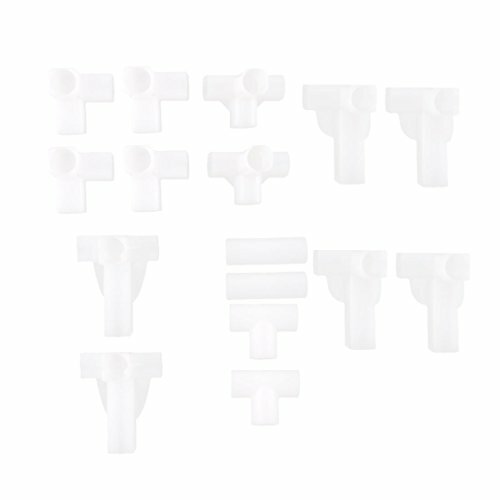 The package comes with all of the mounting hardware that is necessary for mounting this 5 tier shelf organizer onto wood studs and drywall. If you want to skip the hassle, we also offer expert setup for a reasonable price. 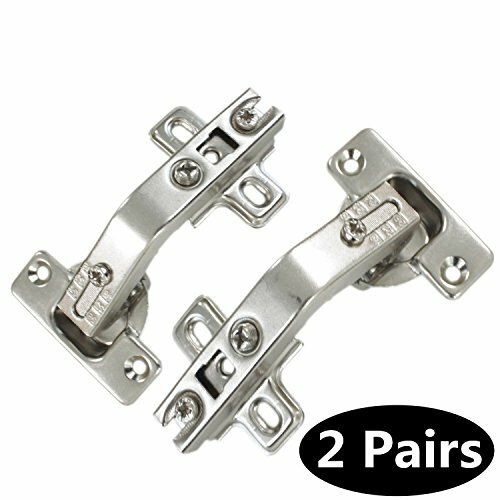 ★Easy to hang,All hardware included(except hammer and screwdriver),Needs 2 people to put on the wall, Minor assembly is required. Easy to mount with all necessary hardware Included. Hardware is not visible when mounted. Wood-plastic board-high hardness, anti-skid, wear-resistant, moth-resistant, non-toxic, environmental friendly. 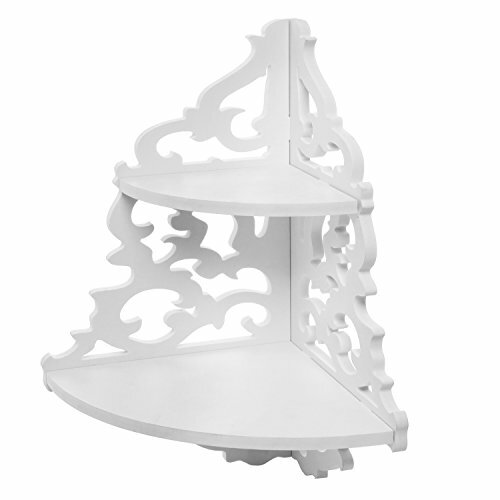 White color in Classic style, perfect for fit any decor.Turn any corner into elegant and useful storage and display space. please note *Due to monitor variations colors may appear slightly different. 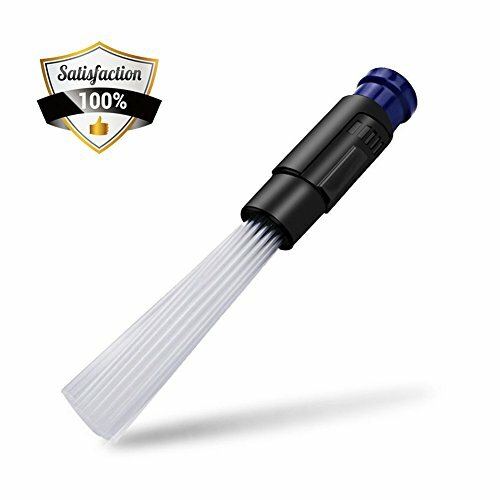 All hardware and instructions included and easy to install.No visible connectors or hanging hardware. No matter how hard you have thought of placing the furniture in the right place in your house, but if you don’t utilize the corner, all your efforts will go in vain. It is the corners that provide larger space in the room especially if the room is small. Placing the furniture in the will make enough space in the middle of the room. This way, the viewer will think that there is a large space left in the room when most of the space is already utilized creating an illusion. You can also use the white ceiling and bright shades in your room because they give a feeling as if your room has expanded. When you concentrate on the floor, it will be easy for you to maximize the space. You will have to make the right wall selection and floor color. 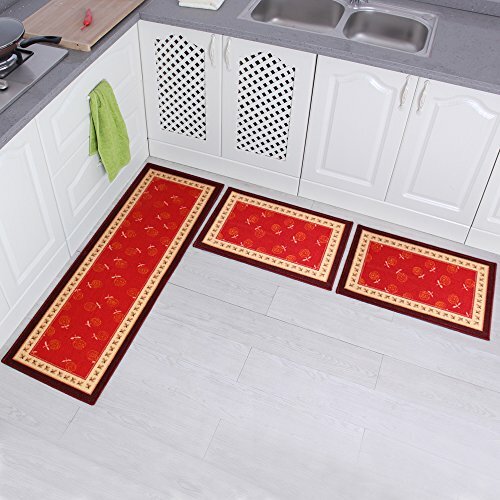 It is often believed that the large-sized floor tiles make the room appear less cluttered. Thus, to make your room more spacious you must obviously go for the corner storage option. Go for the wide plank flooring to create a pattern that looks more open and airy. Place the furniture accordingly and think of cabinet storage or showcases to make your room more beautiful. right in front of us. But thinking about vertical space utilization requires a greater level of creativity. 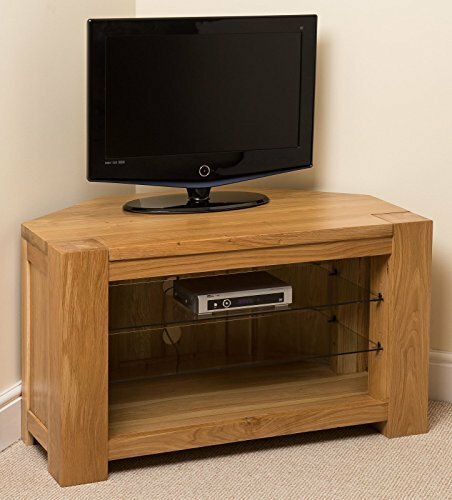 You can create a wall mount, bookshelf, TV cabinet or use some other storage option. For example, a corner storage cabinet with drawers can help in using your vertical space thus leaving the horizontal spaces available. All of them will help you to free up some horizontal space and you can place your valuables out of reach to avoid damage too. Moreover, you can also keep the stuff in hindsight that your'e not the most fond of or the ones you simply don’t like. You will agree that the walls that are mounted with creativity surely give away a feeling that you are living in a very modern house. The simplest and easy way can be the most intelligent way to redecorate your home and design it according to the latest trends. You can think of high mounted shelves, storage compartments, or cabinets at a certain height with solid colors that would look beautiful and will create more space in the house in the most intelligent way possible. 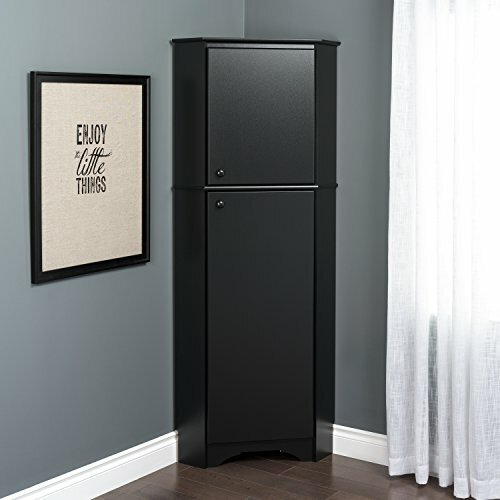 A corner storage cabinet for bedroom can also better utilize your available space if it's a small bedroom. And as the visitor’s eye glide through the walls, they won’t be able to take their eyes off of the bright interiors. can make the most of your living space and learns the proper way to beautify your home, you will also get to know how helpful corner storage ideas really are. Imagine that someone enters your home and right beside the door, they will see a wooden cabinet embroidered with unique design only to place your shoes, wouldn’t they be surprised by the level of creativity. It really makes a huge difference in the house. The smarter you are to choose the Corner Storage options, the better you will be implementing the storage space. Less storage can be a restriction or hindrance in the beautification of your home, but it can’t stop you from reaching your goal. You can’t move the large furniture around the house every now and then; hence you will be left with the small ones. And how smartly you create the illusion of a large space entirely depends upon you. Whether you use transparent furniture or create a focal point of artwork in your room, or transform your closed space to a boutique like a closet, none of the corner storage ideas will be unworthy of your time and efforts.